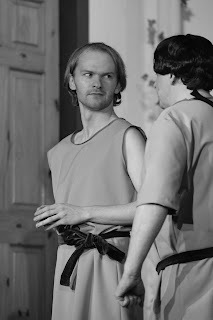 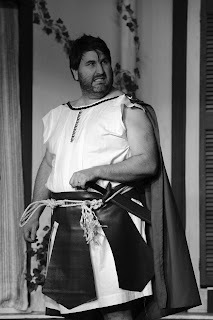 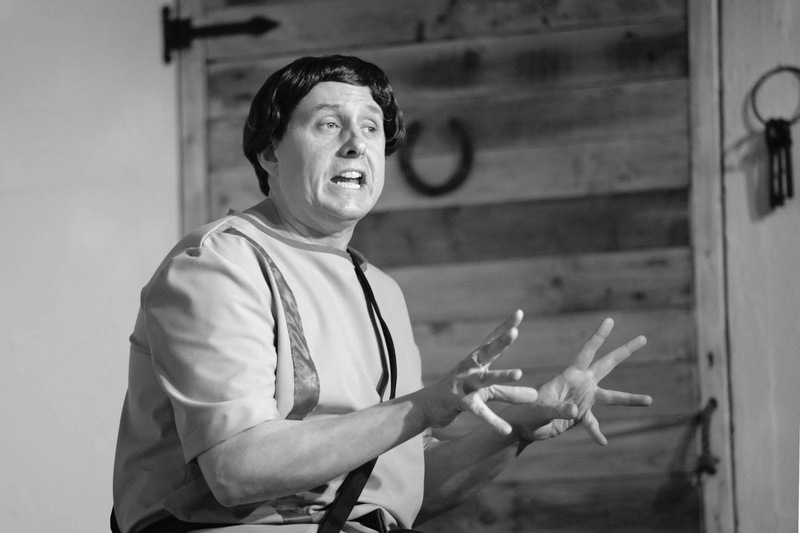 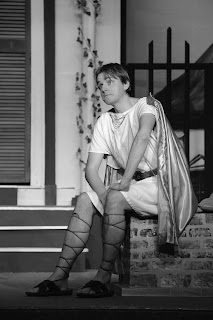 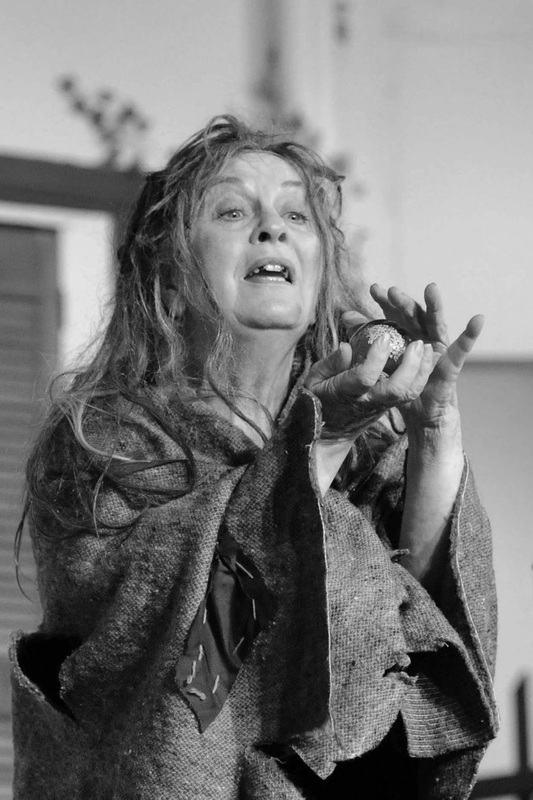 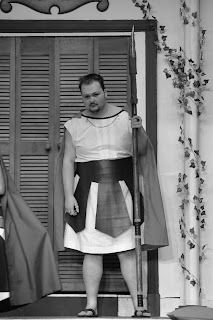 Guildonian Players: Show week - Up Pompeii comes to Harold Wood! 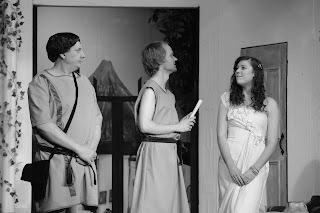 Show week - Up Pompeii comes to Harold Wood! 'Woe, woe and thrice woe!' 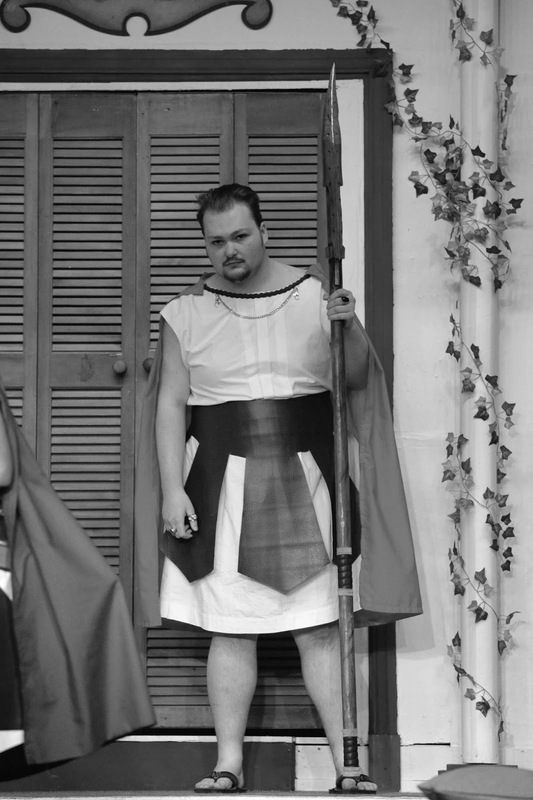 It's go, go and thrice go! 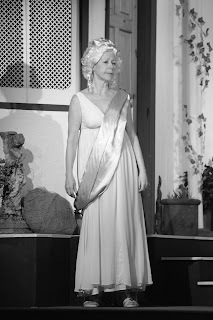 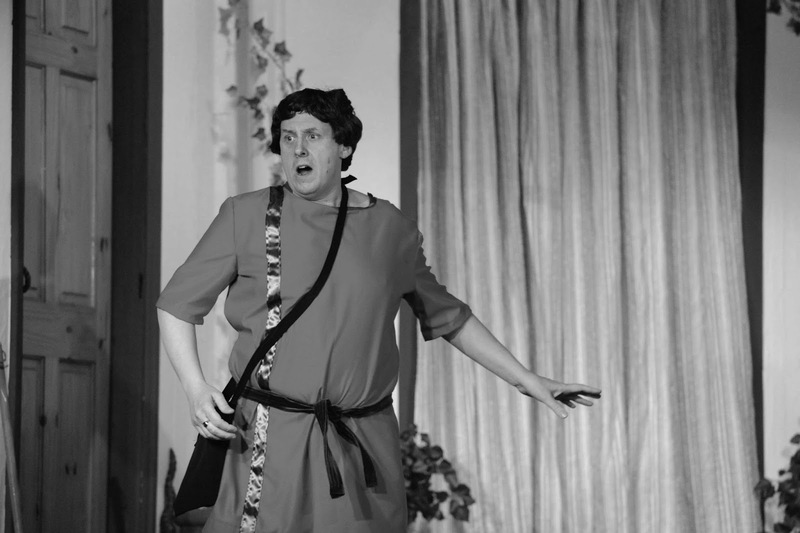 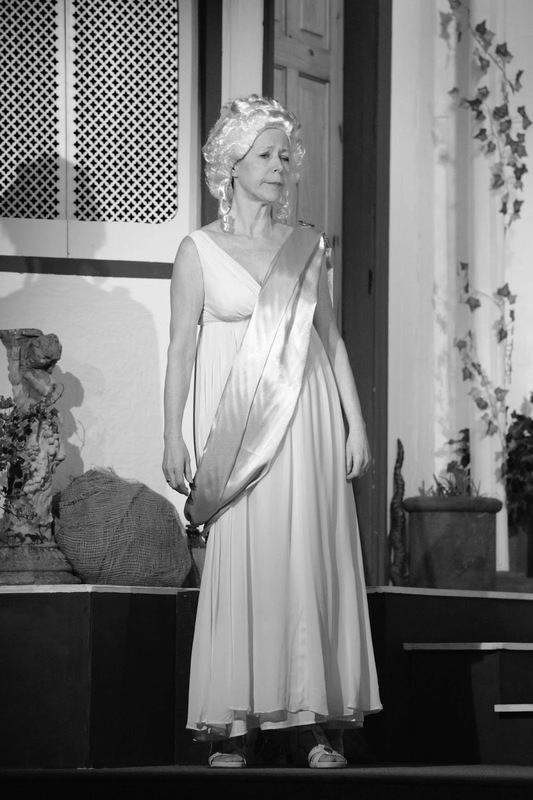 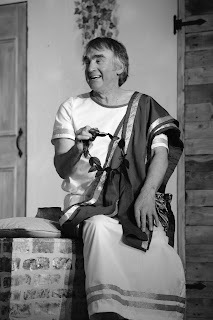 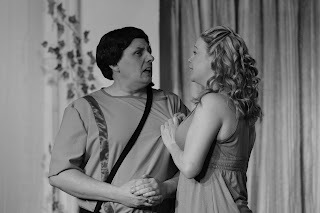 Our Spring production of Up Pompeii performs this week, 9-12 March. 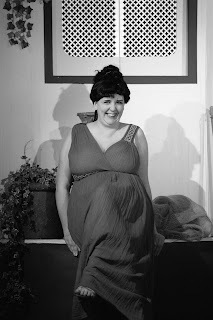 Here's a sneaky peak with some black and white photos (courtesy of El-lens photography www.facebook.com/ellens.photography100). If you would like to see us in glorious technicolour, come and join us in a hilarious romp through ancient Pompeii as we bring you an evening of sheer escapism, complete with dreadful odes and double-entendre ... Book your tickets now!